Babylon Shells have a thick glossy outside shell, often plump looking with brown spots or swirls covering the whorl (outside body). They primary inhabit the tropical Pacific in the Indo_Pacific region stretching from Eastern Indian Ocean east to the Northern shores of Australia and New Zealand. They prefer shallow sandy or muddy sea water. 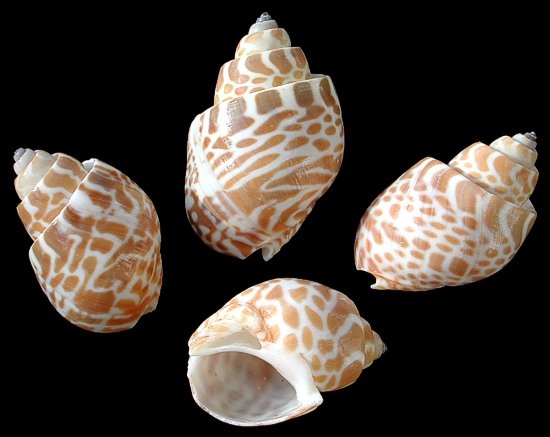 Description The Spiral Babylon belongs to the family Buccinidae, species Babylonia Spirata. They are a thick, heavy shell, having an almost flush sided body whorl (outside shell around its imaginary axis). A spire seems pushed down Into the body, separated by a deep channel wrapping around the body whorl. 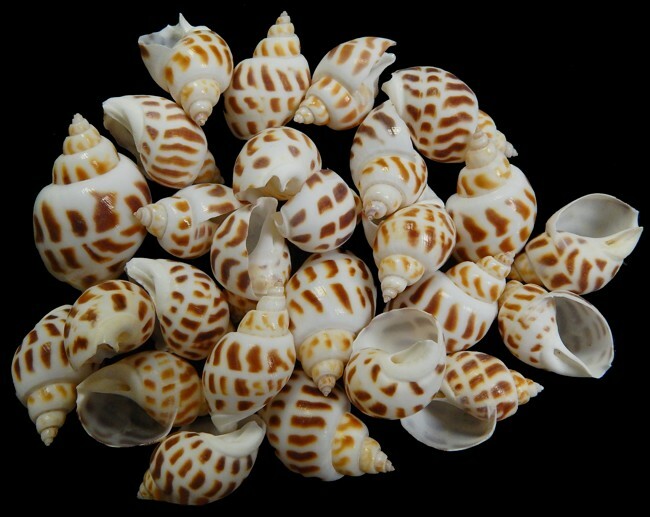 The shell has rings of brown and alternating cream color spiralling around the body. The Spirata Babylon is common across the Indian Ocean and has been seen east thru the Indo-Pacific region. Description. the Babylon Japonica is somewhat thick with a high spire. The body or whorl is rounded. 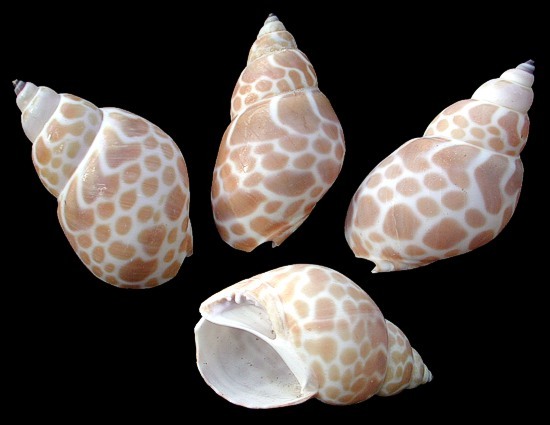 The shell is a cream color with brown spots and blotches. The whorl has two bands of dots spiraling around the shell body. This shell was once a spinning top toy for Japanese children. The species prefers shallow water on muddy sand. It like most other Babylon shells range across the Indo-Pacific region and North to the Southern shores of Japan.